Using compost when planting will greatly benefit the health of your plants. 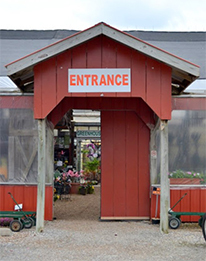 We carry several varieties of compost at Daniel’s Farm and Greenhouses including bulk compost from St. Louis Compost. We also have several varieties of Back to Nature Composts available in bags. Click here for detailed instructions in properly applying the Back to Nature Composts we carry at Daniel’s Farm and Greenhouses. We DO NOT recommend planting in 100% compost. Always mix at least 2/3 native soil with 1/3 compost.